Category: Browse All, De Ville, Fine Watches, Omega. 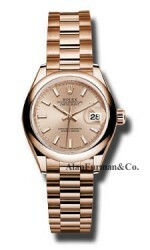 Alan Furman & Company features authentic Omega 431.53.41.21.02.001 41mm Automatic. Every Omega watch, along with Omega 431.53.41.21.02.001 41mm Automatic, we sell is guaranteed to be authentic. We have been selling Omega Watches since 1985. We discount genuine Omega watches including Aqua Terras, Planet Oceans, Speedmasters, Seamasters, and Constellation Mans and Ladies models. We guarantee each watch is thoroughly inspected before being shipped to you. Our fine watch division offers great discounts on all Omega watch models. Most Omega’s are either stocked in our inventory or is readily available in a matter of days. We honor the manufacturer’s warranty on every watch that we sell. These watches will be accompanied by a warranty from Alan Furman & Co. which displays our written guarantee. Merchandise and watches may be returned to us for warranty repair or replacement. Items purchased from us that are not special orders may be returned unused for a full refund, less shipping costs. All returns must be made within 10 days of receipt. Omega started to produce timepieces in Switzerland in 1848 .The first timepieces by Omega were made in a small pocket watch shop owned by the Brandt family. Dissatisfied with the quality and accuracy of the pocket watches sold at the time, the Brandt’s began manufacturing their own movements, and in a little over half a century, Omega became the largest watch company in Switzerland, manufacturing 240,000 watches annually. A multitude of dealings occurred including a relocation to Biel/Bienne, a merger, and finally a new ownership by the known Swatch Group. In 1947, Omega created the first tourbillion wristwatch calibre in the world with the 30I. Unlike the usual Tourbillion movements whose cages rotate once per minute, the 30I’s cage rotated one time each seven and a half minutes. Since that time, Omega has made innumerable contributions to watch-making history, including the first watch on the moon, (the Omega Speedmaster Professional Chronograph was the first watch on the moon, worn by Buzz Aldrin), followed by five subsequent lunar landings, the first divers’ watch, the world’s only certified marine chronometer watch, and the inventor of the James Bond watch (In 1995, Pierce Brosnan played James Bond in ‘Golden Eye’ and began wearing the Omega Seamaster Quartz Professional, model 2541.80.00). Omega has made more records for accuracy than any other watch company. Omega has also been the official timekeeper of the Olympic Games since 1932.